Subscribe to get notified. Or LIKE us on Facebook. Join us on Meetup. What are Feelings, Emotions and Consciousness? Some 65% of all research and development in the U.S. is funded by private interests. History shows that the corporate funding of scientific research can be problematic — the tobacco industry offers a potent example. When corporations fund science, is truth the ultimate goal, or is stockholder profit? Lisa A. Bero, PhD, is Professor and Vice Chair, Research, in the Department of Clinical Pharmacy at UC San Francisco. She is a pharmacologist with primary interests in how clinical and basic sciences are translated into clinical practice and health policy. She chaired the UCSF Chancellor’s Advisory Committee on Conflicts of Interest for 11 years. She has developed and validated methods for assessing bias in research and scientific publication and measures influences on the quality of research, including university-industry relations. Prof. Bero has also analyzed the dissemination and policy implications of research evidence. Prof. Bero served as: (1) advisor to the World Health Organization (WHO) Department of Essential Medcicines and Pharmaceutical Policies, (2) member of the WHO Essential Medicines Committee, and (3) member of the Pan American Health Organization Advisory Committee on Health Reseach. She is Director of the San Francisco branch of the United States Cochrane Center. And, for 12 years, she was an elected member of the Cochrane Collaboration Steering Group. She serves on several national and international committees related to conflicts of interest and research, such as the Institute of Medicine Committee on Conflict of Interest in Medical Research, Education, and Practice. Hank Greely specializes in the ethical, legal, and social implications of new biomedical technologies, particularly those related to neuroscience, genetics, or stem cell research. He frequently serves as an advisor on California, national, and international policy issues. He is chair of California’s Human Stem Cell Research Advisory Committee and served from 2007-2010 as co-director of the Law and Neuroscience Project, funded by the MacArthur Foundation. Active in university leadership, Prof. Greely chairs the steering committee for the Stanford Center for Biomedical Ethics and directs both Stanford law school’s Center for Law and the Biosciences and the Stanford Interdisciplinary Group on Neuroscience and Society. In 2007, Prof. Greely was elected a fellow of the American Association for the Advancement of Science. Prof. Patterson’s research style is to identify critical questions for the IT industry and gather inter-disciplinary groups of faculty and graduate students to answer them. The answers are typically embodied in demonstration systems, and these demonstration systems are later mirrored in commercial products. His studies both affect research AND train leaders in the field. The best known projects of Prof. Patterson’s groups are Reduced Instruction Set Computers (RISC), Redundant Array of Inexpensive Disks (RAID), and Networks of Workstations (NOW). A measure of the success of these projects is the list of awards won by Prof. Patterson and his teammates: the C & C Prize, the IEEE von Neumann Medal, the IEEE Johnson Storage Award, the SIGMOD Test of Time Award, the ACM-IEEE Eckert-Mauchly Award, and the Katayanagi Prize. He was also elected to the American Academy of Arts and Sciences, National Academy of Engineering, National Academy of Sciences, the Silicon Valley Engineering Hall of Fame, and Fellow of the Computer History Museum. The full list includes about 30 awards for research, teaching, and service. Prof. Proctor’s current work centers on the history of scientific controversy, especially in 20th and 21st century science, technology, and medicine. He also works on the history of scientific rhetoric, tobacco and body history, Nazi science, expert witnessing, evolution and human origins, geology and gemstone aesthetics, and the cultural production of ignorance (agnotology). His most recent book is the very well-received “Golden Holocaust: Origins of the Cigarette Catastrophe and the Case for Abolition.” Presently, he is working on “Darwin in the History of Life” which argues that the 19th century evolution revolution can be seen as an effort to historicize life. He is also finishing a book on the history of the lapidary art (“Agates Eyes”) and a book on changing interpretations of the oldest tools (“The Acheulean Enigma”). Prof. Zare is the Marguerite Blake Wilbur Professor in Natural Science. He earned his Ph.D. in chemical physics in 1964 from Harvard University. He has won more awards for outstanding research than we can possibly enumerate here. Prof. Zare is a member of the National Academy of Sciences; he was awarded the National Medal of Science in 1983; and, just two years ago, he won the highest honor bestowed by the American Chemical Society: the Priestley Medal. With his colleagues at Stanford’s Zare Lab, Prof. Zare continues to investigate many diverse aspects of physical chemistry. He loves to teach, and he offers crucial support to Wonderfest by serving as both board member and technical advisor. These experts will examine at least five major industries: pharmaceuticals (Bero), biomedicine (Greely), computer science (Patterson), tobacco (Proctor), and chemistry (Zare). Subsequent discussion of the various controversies promises to be enlightening and important. Does truth triumph in corporation-funded research? Under what conditions might it not? 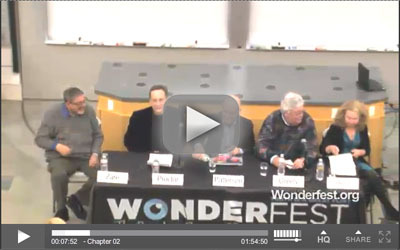 WONDERFEST and the Stanford Chemistry Department jointly present a very special panel discussion. Come take part! Special thanks to Coffee Party USA for efforts in getting the word out about this important panel discussion. Coffee Party USA is a political advocacy organization and not a political party. Wonderfest neither supports nor endorses the views, positions or opinions of the Coffee Party. As "the Bay Area Beacon of Science," Wonderfest is charged with illuminating a great deal of geographic and intellectual territory! Let's see if Wonderfest is living up to its ambitious new subtitle. On March 2, Wonderfest joins the Stanford Chemistry Department in presenting Does Corporate Funding Corrupt Science? 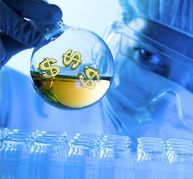 When corporate money supports research, is truth the ultimate goal, or is stockholder profit? The tobacco industry seems to offer a potent example of "private" science gone awry. Can we establish general conditions of research funding under which truth always triumphs? For more information and for speaker biographies, please see this wonderfest.org page. Next, on April 18, Wonderfest joins Ask a Scientist in San Francisco to explore one of the most profound questions in science: Whence Consciousness? 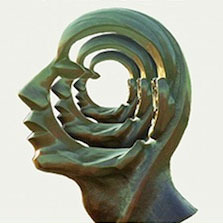 UC Berkeley neuroscientist and anthropology department chair Terrence Deacon will present Incomplete Nature: How Mind Emerged from Matter. Then, on May 9, Wonderfest collaborates with the Bay Area Skeptics to present Magnetic Medical Mayhem?, a Berkeley “Skeptalk” on the alleged health effects of electromagnetic radiation emitted by cell phones, power lines, and smart meters. And on June 23, Wonderfest finally brings back its rained-out contribution to last November’s Bay Area Science Festival. We again join with the Mt. Tamalpais Astronomy Program at Marin’s Mountain Theater to present The Milky Way as a Dark Matter Laboratory. To summarize… Look what’s coming: science funding, consciousness, EMF health effects, and dark matter; collaboration with Stanford, Ask a Scientist, Bay Area Skeptics, and Mt. Tam Astronomy. These intriguing presentations happen—one per month—in four different Bay Area regions: peninsula, SF, east bay, and north bay. Evidently, the Bay Area Beacon of Science is shining brightly and widely!